Toast & Honey Studio is a Melbourne based design studio specialising in pots, prints and plywood, created and designed by owner Maria who has a background in Architecture and design. After following her passion and a longing for a better work life balance, she left architecture behind and started on her new journey, so say hello to Toast & Honey Studio. Her pieces are modern in style, simplistic in their approach and are made to the highest standard. With a range of styles, sizes and colours, there is a Toast & Honey pot for everyone - the hard part will be not buying them all! I sat down with Maria over a cup of coffee and we chatted all things interiors, design, greenery and then I got distracted and started talking architecture and picking her brain for tips and tricks! Scroll down to read our chat and see more of her beautiful pots... and SHOP here! I actually studied Architecture and graduated in 2004. After working in Melbourne for a few years, my husband, Jonathan, and I moved to London. It was only meant to be a year long adventure but London became our home for the next 6 years! It was a life changing experience; we made life-long friends and travelled throughout Europe, discovering new cultures and exploring diverse architecture and design. Soon after our first daughter was born, we returned to Melbourne and I began to seek a better work/life balance. That's when Toast & Honey studio was born; I was able to still be creative, doing something I love, while spending more time with my family. What is the creative process you go through when designing and painting your pots? My creative process is quite organic and heavily influenced by my background in architecture and love for modernist design. I draw inspiration from everywhere; a striking pattern, a new colour I love, the feel of a space I like where I think a pot would be complimentary. I sketch my ideas on paper and then convert them to a design that would suit the proportions of my pots. Refreshing, refined, timeless, unique yet adaptable to most interiors. A functional approach, simplicity, clean lines and confidence. Who are your favourite designers/bloggers/artists for inspiration? -Architect Prineas; an australian architecture firm. I love their use of materials, the forms they design and the way they bring light into the spaces they create. -Made by Morgen; A Melbourne based furniture design company. Their products are refined and inspired from mid century scandinavian design, which I love. 2. Use lots of different textures. What can we expect next for Toast & Honey? I will be launching a new pot shape in the new year, which will include a smaller size. Also, Toast & Honey studio will be moving to a new home; a collaborative retail space. It will include a workshop which will be shared with other local creatives. Shop online HERE or find a stockist near you HERE. I love introducing you to new labels and NEUE BLVD is Australia’s newest and freshest luxury homewares label. Neue Blvd is the label of Christie Turvey, and is an exclusive e-boutique offering high-end luxury homewares sourced from Australia and afar. Inspired by the unique, the beautiful, and of her journeys around the globe, Christie curates a timeless collection of pieces that focus on effortlessly bespoke and luxurious living environments. From personalised monogrammed bedding, statement lifestyle pieces, luxe home accessories to their handcrafted marble, metallic tableware, ornamental objects and florals, Neue Blvd captures an elemental design aesthetic that will effortlessly transform any space. I am obsessed with their latest offering, metallic bar ware so keep scrolling for a peek at the range and to check out my interview with Christie. For those of us who don’t know about Neue Blvd, can you tell us about it? Neue Blvd is an online interior and homewares e-boutique. We sell a range of lifestyle products and accessories with our greatest platform being social media. The name ‘Neue Blvd’ is a representation of my ‘new’ brand. Neue is German for new, and Blvd, a representation of ‘bringing it to the streets’ where our well-sourced luxury products are made accessible to the general public. Neue Blvd has an amazing collection of products available, can you tell us about the creative process you go through when designing items? I always had a clear vision for my brand. I am a very focused and direct person with my own sense of style and I wanted to bring this clarity to Neue Blvd and our product range. I have an amazing team underneath me, who help with bringing my ideas and designs to fruition. We spend a lot of time brainstorming new ideas, sketching designs, collecting samples of fabrics and colourways and emailing our suppliers. There is a long time between the initial idea and the finished product! We want our designs to be on trend, if not an up and coming trend. Take for example our key tags and key rings, they must be functional yet well made. We test them out before making final decisions, they must be perfect. Where did your love of home wares and interiors begin? I have a bachelor degree in interior architecture and an ongoing passion for interior design. I started this business in 2012, having returned from London, where I had worked for Candy & Candy and with some of the most high profile names in the UK’s interior industry. I was keen to continue working in the design world and wanted to bring these world-class designs and home wares to my design savvy clients and customers in Australia. Do you have a favourite piece from the Neue Blvd range? I like to read a lot of international luxury home magazines to see what is on trend before it hits Australia. Social Media is also a great way to see what is popular in home wares and lifestyle, it’s great to be able to keep on top of trends this way. Neue Blvd has done a lot of different collections over the years, evolving and improving to where we are today. We listen to what our customers want and we deliver. My style is modern with a touch of luxury. What can we expect next for Neue Blvd? In the next few months we are launching some new collections and colourways as well as some exciting new promotions. Stay tuned! I love designing with monochrome. Black and white works particularly well with metallic finishes such as brass and bronze. It gives a real high fashion feel. I love layering and the use of natural and exotic materials such as leather and shagreen, sourced from near and afar. It’s also an easy way to add and change colour to a room as the different seasons come and go. Decorate with mirrors. Especially if you are working with a small space, mirrors create the illusion of more space and instantly add a touch of glamour. Opt for an oversized mirror leaning against a wall for that instant New York studio vibe. So in some super exciting news our house was featured in Adore Magazine this month - and we are so incredibly happy! Scroll down to check out a selection of images from the shoot. You can also see the full shoot, read our interview and find out where all our furniture and homewares are from in the magazine which is out now in all newsagents as well as in some beautiful boutique stores - check for your closest stockist here. I was so excited when the opportunity came up to shoot the incredible Cuba Collection from Beeline Design in my home. I have been a massive fan of these guys since featuring them on the blog back in 2014 and have watched them go from strength to strength in the furniture design world, absolutely killing it guys! Their current collection is on the blog here - so please check it out! You can read my interview with Beeline Design over on their blog here - chatting all things renovation, interiors and how to keep inspired in a busy busy world! And to see the stunning Cuba Collection styled in my home just keep on scrolling! Langdon has captured the principles of colour, vibrancy and design with a colourful carousel of cushions, rugs, throws and bags. Designed in Australia, each of the pieces in the Langdon collection are made by hand by talented weavers in Rajasthan, India who use ancient wisdom and traditional techniques, the finest materials and metallic threads to create an earthy, homespun vibe. The business was born from an appreciation of colour, craftsmanship, community and above all, social responsibility, cofounders Delia and Phoebe Langdon regularly travel to India to shake the hands of their creators. By purchasing Langdon’s collection, décor enthusiasts will be helping artisans develop a sustainable income for themselves and their families ‘We spend a lot of time in India and wonder off the beaten path to immerse ourselves in the local communities to spend time with the artisans behind our brand,’ says Delia. Enjoy a voyage of vibrant colour, craftsmanship and detailed embellishments in delicate shades of lavender, mint, rose, lemon, foam blues and dusty metallic that effortlessly contrast against wheat tones. Their collectoin features rugs, cushions, doormats, bags and more. And what's more you can create your own couture with Langdon’s custom-designed rugs. Mix a little bit of this, with a little of that to produce a piece that’s perfect for you. Discover the magic of Langdon and celebrates the true art of weaving which is not merely a profession, it is the vein of Indian culture. Keep reading for our interview with the lovely ladies from Langdon Ltd.
We love your style – where did your love of Indian traditional techniques and materials come from? I moved to India at 23 to complete my design degree majoring in textile and fashion design. I suppose I became obsessed with the hand weaving work in the villages I visited for the year I was there. The artisans in the villagers are the most spirited and lovely people I’ve come across. They’re very proud of their lineage. I love the character that comes with the handmade aspect. Design wise the possibilities can be infinite when you’re working with century old techniques in a contemporary world. India has the most amazing materials and fabric as well- they love embellishment and have some really creative ideas. They have no fear when it comes to being bold with colour and design. Can you tell us about the creative process you go through when designing items for Langdon? I spend a lot of time travelling with the business and I suppose I am influenced by what I see when I’m away. I’m in India a couple of months of the year and the colour combinations I see really influence the designing aspect. Our carry bags that we have just started selling were inspired by the bamboo lunch bag that one of the guys in India who works with us had. He thought I was mad- but we sampled it and it’s been really successful. It’s actually sitting in boutiques all across Australia and America now. So it’s those little things that catch your eye and make you come up with different ideas and products. I’m not very traditional in that sense- I don’t sit down and sketch pretty designs or pick pantone colours for months on end due to the time restraints of running a business. There’s a huge amount of technical work that influences the design process. I have had to learn the science and chemistry behind everything. I luckily had grandparents who were scientists and have helped me learn that aspect of the production on a commercial scale. Grandad was a botanist and Grandma was a chemistry professor, they both taught me about the farming, chemicals and auxiliaries used in relation to the textile industry. I suppose I use this to be creative in designing- you can come up with some amazing techniques when you have this knowledge as well as create a sustainable business. I work all year round on design development with my team in India. There’s a constant back and forth communication with new ideas. We all work really hard to try and push the boundaries and I suppose they like the fact that I encourage them to put their opinion in. The creative process is completely unconventional and a true collaboration. The key to our design success I think is to learn from our weavers and dyers. When you take the ego out of being a designer and take on other people’s knowledge and input, pretty amazing results transpire. Delia has always had an obsession with interiors- whereas I’ve always leaned towards fashion and textiles. She has converted me over the years. She gets very excited whenever she comes to India with me, with all the amazing furniture and textiles. I suppose when I moved to India, I began to garner more of an appreciation for home wares and interiors. Bold and contemporary, where fashion meets interiors. We both have a love of colour and an appreciation for handmade delights. Having your own style would have to be the number one key. Being adventurous and not following the status quo. Delia and I are of the opinion that life can be tedious and monotonous a lot of the time so we love to create a bright, happy and lighthearted vibe. 1. Don’t be afraid of colour! It seriously brightens your mood and it is a must to inject it into your home. Beige can make you feel very dull. It’s great to mix neutrals and colour together. 2. Clashing prints and textures is our favourite thing to do. There’s nothing like a shaggy woolen cushion sitting next to a gingham and floral design. It’s surprisingly not offensive. 3. Invest in some beautiful furniture pieces- less mass market more good design. There are so many amazing independent product/furniture designers in Australia. What can we expect next for Langdon? We have some new product lines in the pipeline. Our accessories range has been expanded as it has been received so well. We are also launching a range of statement woven upholstery furniture pieces very shortly. Think stools, bench seats and ottomans. We have a lovely interior designer client in the USA who has forced us to create these. She has been using our rugs the last few months to upholster some beautiful pieces and we have promised her that we will take it to market. Our launch last year in the USA has made for some exciting new ventures and opportunities as well. I find a lot of inspiration from fashion. I’m currently coveting the likes of Paco Rabanne and Emilio Pucci in the 1960’s. I think it’s refreshing to look back at the greats of the past instead of being inspired by the current design world. In terms of artists, my all-time favorites and constant inspirations are Gustav Klimt and Pablo Picasso. I think I can attribute my obsession with gold through Klimt. Where did your love of interiors begin, did you always know you wanted to work in this industry? I have always been creative since I can remember and really I fell into the world of styling as growing up it wasn't a job that people knew about unlike now. I worked for a wholesale home wares company and one of my jobs was to organise samples to be loaned by stylists - who are these magical creatures I thought?! I met Glen Proebstel, then he was the style director of Inside Out Magazine and I assisted him on a few shoots. After that he convinced the then editor Karen MacCartney to book me for my own shoot. I must have done ok as then I was booked on another and another, finding and styling homes for the magazine, eventually becoming the melbourne contributing editor - producing all the stories and homes for the magazine in Melbourne. I was offered the role of Style Director so moved to Sydney and this is where things began to happen. After a while I went back to freelancing and began work on my first book soon after moving to Bondi. It took time for me to realise that I had my own point of view and style and this was becoming clear. Fast forward around 10 years with two books under my belt (a third on the way) and an impending homewares collection launching in February (at lifeinstyle) www.mjgstore.com and I am living my creative dream - it is imporatnt to dream big and work hard to make your dreams come true. How would you describe your style? Has it changed over the years as you’ve grown and progressed as a stylist? My style is always constantly evolving and updating but at the core my style is relaxed, laid back, casual and not over styled (funny for a stylist). I'm proud to say that I think my point of view and style is very Australian but I do see influences from further a field and it's no secret that there is a little Californian undertone to my style as well. I like spaces to be real and personal and definetly not perfect. Decorating is all about expressing your style and personality. How exciting that you are the ambassador for Life In Style - how much do you love being surrounded by all those creative and inspired people? Do you have a favourite subject matter to shoot/work on? I guess as a stylist styling/art directing your own homewares collection or books is definetly a favourite. 1. Don't rush - it's fine to take your time - decorating and finding your own style is a journey to enjoy. It really comes down to finding your own confidence. 2. It's all in the edit - styling is also currating - sometimes it's about what you take out/leave out, you dont have to put everything on display, edit your space, add and subtract as you go. 3. Keep it personal - the key to a great space is decorating with what you love - it should make you smile. Americans Kelly Wearstler, Jonathan Adler and the team behind Toms inspire me greatly, they have built very successful brands and have created unique signature styles across design, decorating and fashion. This is my dream for me here in Australia and launching my signature collection is the next step in this journey. I recently met Jonathan whilst he was here in Australia ( he even knew who I was!) and it was great to pick his brain and chat to him about his success. His best advice was to make your own way - dont try to be anyone else. I think it's important to find your own voice. What/where are your favourite resources to garner inspiration? Two of my biggest sources of inspiration are Travel and Nature - I love to travel, be it to India, the US or Paris. I love heading somewhere to have new adventures and discovering new and exciting places, as well as visiting old favourites like Palm Springs and LA (yes I am obsessed) Next on my list are Japan and Italy. I've loved nature ever since I was a small boy and I love being outdoors. Bondi is home, living close to the ocean has a huge impact on my style and my ideas. Nature really get things right, for example colour and form - sometimes it's the little things that provide the biggest inspiration. Life Instyle, the annual boutique trade event, will once again showcase stylish, quality products and brands that focus on creative excellence and innovative design. From 18-21 February 2016, Sydney’s Royal Hall of Industries & Hordern Pavilion will be the destination of discerning retailers seeking the thrill of discovering new products, trends and suppliers on which businesses thrive. Klaylife is not just a lighting brand…it is a life changing group of women in South Africa that were initially joined together to help a group of HIV impacted ladies and now has grown into so much more. Now with over 65 women working together to create these gorgeous one-off pieces, Klaylife is telling a story we all need to know. Women working to improve their circumstance and to help their families have the opportunities they deserve. All Images styled by Jacqui Moore and photographed by Armelle Habib. WOW…how incredible is this concept? Tell us about Klaylife and how you came to working with the women of South Africa? It all came about via Instagram! I stumbled across an image of a chandelier on Karissa Fanning’s ‘The Lane’ and was blown away by how beautiful and unique it was. I was born in South Africa and have always loved the country and the people. When I did my research and discovered the story behind the chandeliers, I got goose bumps. We approached the owner/designer, a beautiful lady by the name of Merewyn who is producing them on her farm with her team of amazing women and then we jumped on the first plane to South Africa to meet them and ask if we could bring their beautiful pieces to Australia. Thankfully, they said yes and trusted us with their babies. The fact that the lights have such a human story is incredible. It makes them so much more meaningful and in turn, loved much more…tell us about the production of each light from start to finish? Having spent time in South Africa to witness how the chandeliers are created, it really is magical to see the process from start to finish. First the clay is rolled by hand into beads. Instead of sitting in a cold, lifeless factory, everyone sits outside in the sun, rolling, talking and singing. The beads then sit out in the sun to dry. Once they’re dry, they go into a red hot kiln where they are fired. They’re then hand dipped into a dye and finally, hand strung onto a wrought iron frame (made by the local ironmonger). It’s so beautiful knowing each light was made by loving hands and that no two chandeliers will ever be exactly the same. There are now over 65 women dedicated to rolling beads and creating their own work of art…this has to be such an incredible feeling? It truly is incredible. What started as an initiative by Merewyn, to help a small group of HIV impacted ladies gain income whilst looking after their families, the business has grown into something so much bigger. As popularity for the chandeliers grew, more and more women with differing circumstances approached, seeking work. As a result, the criteria has been broadened to local women who are prepared to put in the effort to create something special. More importantly, they’re making a difference to their local community. Where would you like to see klaylife go in the future? What’s in store for 2015? So much! We’re working with Merweyn and the team to create new lighting designs and then aiming to branch out into jewellery and furniture. It is also our intention to put a program in place to help this beautiful community even more. Right now, the bulk of these women’s earnings goes into the schooling, clothing and feeding of their children so if we can help with these costs, 2015 will be a good year. Tell us a bit about Space to Create? At Space to Create we are all about furniture that is high quality and well designed – our aim is to create pieces that provide that perfect touch of style and individuality to any room.Online thinking is at the core of our company, with the online store being our main distribution channel and warehouse being situated in North Melbourne, Victoria. Why did you start Space to Create? We’ve been in the furniture business for just under 10 years, first starting in the event hire business through STC’s sister company Dann Event Hire. Our aim was to always provide unique hiring solutions to our clients, continually scouring the globe for that perfect product to add to our ever-expanding collection. With this knowledge and constant questioning of “why don’t you sell your products”, we decided to bite the bullet and launch Space to Create in 2013. Do you have a favourite piece of furniture so far? We really love our Arrow Side Table because it is so versatile - it can be used as a low stool, side table or even a bed side table. However we are getting particularly excited about the new pieces which will appear on our website very soon… stay tuned! What has been the best moment so far for the business? Probably a dead heat between appearing in Inside Out magazine and the day spent styling our first range look book with Jacqui Moore and Julia Green from Greenhouse Interiors. It really is amazing to work with such amazing people who are so incredibly talented - we love those shots, and can’t wait to embark on the next look book. Who, what, or where do you look for inspiration? All over really. From Pinterest, to blogs to new cafes and boutiques that seem to be popping up all over Melbourne. We try to be very open minded to what inspires us! Who are your favourite Australian furniture designers? Daniel-Emma - a seriously talented duo! We love seeing the varied projects that they work on and how simple yet effective there designs can be! Sixhands - not really a furniture designer but they textile prints are so outrageously cool, we just had to mention them. Top 3 instagram accounts we should all follow? @designmilk - for its extremely varied design variation. @heltenkelt - interior styling, her pictures are absolutely stunning! I was super excited to sit down with the lovely Emma Davenport from Grace and James Candle Co to discuss her love of her candles. If you have a candle obsession like me then you need to try Grace and James Candles. You will fall in love with the soy and coconut oil wax blend which are all hand poured in Melbourne. They feature a 100% cotton double wick which ensures optimal burning that lasts up to 80 hours. Grace and James was born out of a love of homewares, art and an obsession with candles. Emma Davenport the owner and founder of Grace and James worked tirelessly to source and develop a 100% local product that is still affordable. Tell us about how Grace and James Candle Co started? It started out as an obsession with homewares and candles and I guess at the time when the idea started to evolve I was really looking for a challenge, so as you do I decided to start my own brand. It wasn't that simple of course, but all big things have to start somewhere. And it started with ALOT of research. Everything grew organically from there. We love your collaboration with some of Australia's favourite artists and designers for your debut range's art work - why did you decide to do this? I wanted Grace and James to have a significant point of difference. I remember at Fashion Week a few years ago Lavazza had teamed up with Australian Designers to design a range of exclusive keep cups and I loved how people were finding new ways to showcase design. Really any excuse to collaborate with other creatives continues to make work fun and keep things exciting for everyone involved. Brands like Tom Dixon and Kevin Murphy has always done packaging very well and I loved how well it was received. I wanted to do that and it's reflective of Melbourne, the consumer is very visual nowadays so not only do we have to create a luxury, quality and ethical product. It needs to look amazing too. Grace and James is a 100% local product - how important was this to you when developing your product? They are! But it's 100% worth it! We pride ourselves on being locally poured right here in Melbourne, our artists are all local Aussies, our boxes are printed and assembled locally. That's not to say we're only limiting ourselves to Australia but if we can get an eliminate of our product here we will, our candles will always be hand poured in Melbourne though. We've had so much love from fans around the world wanted to stock our product because they love it's Australian, as far as Japan, Canada, Europe and the US. It’s really important to us and we hope that when people pick up one of our candles they know it’s not just an 80 hour, all natural, double wick scented candle… but it’s Australian made too. Can you tell us about the creative process you go through when making candles and choosing your scents? The process of creating scents is really trial and error. The goal is always to create something that's unique and different so we're always prepared for some doozies. All our scents are made using natural essential oils and it's all about balance so we usually select one dominant scent and then balance it out with more subtle notes to compliment. Our signature size takes two days to pour because they are so big. So we prepare everything, pour on day one and then they need to rest overnight. On day 2 we'll come back and top them up to finish. What does a typical day involve for you? A typical day would be lovely. It will always start and end with emails, that's once constant. But look everyday is different, I'll be between my house/office and the warehouse at least 2 days a week, sending out online orders, visiting retail stores, working on new product development, social media, we do custom wedding and event candles too so working with clients on those, lots of admin! What can we expect next for Grace and James? Well, we have a few new exciting projects in the works. We're collaborating with one of my favourite artists so that candle will be available in the New Year. Plus we have a really cool product that I'm really excited about. It's taken a while to get it to exactly what I was after but we're really happy so that will also be available very soon. What is Grace and James best ‘pinch me’ moment so far? Who are your favourite designers for inspiration at the moment? Ah good question, I love Hunting For George. They've just realised a new bedding range and I'm in love with everything! I also love Casa Kuma for their simplicity, when it comes to fashion I'm obsessed with staple basics and these guys do it so well. Homewares though anything Megan Weston or Jai Vasicek touch turns to gold, they are another level. Top 3 instagram accounts you follow and why? You mean aside from Dot and Pop? @damselindior haha I don't even know why, I think I'm slightly obsessed with Jacey. She's my style inspiration for sure. Custom Wedding & Event Candles - Want to send your guests home with something extra special? Marble Basics is a super talented sister design duo based in Melbourne with the skills to match. Bliss an interior designer and Bonnie a Visual Arts graduate, are dedicated to making contemporary and everlasting marble pieces that are show stopping as well as totally functional within your day to day life. Designed 100% by Bliss and Bonnie, "the sisters believe that in a world where design knocks us on the head without even thinking, really, the best designs come down to both functionality and the aesthetic; every Marble Basics design carries this in mind." I was lucky enough to catch up with oh so talented ladies to find out more about Marble Basics and their passion for design... and marble of course! Tell us a bit about Marble Basics? Marble Basics is a brand that focuses on beauty and functionality. We design products made from 100% Marble with the idea that every marble product we design needs to have more than one use. We create objects based on what we would love to use and enjoy in our own homes. Why did you start Marble Basics? We have always been creative, and interested in design (Bliss studied Interior Design and Decoration at RMIT and Bonnie studied Visual Arts at Monash University), and once we saw a gap in the market for contemporary marble homewares, our imagination ran wild. Do you have an all time favourite piece? 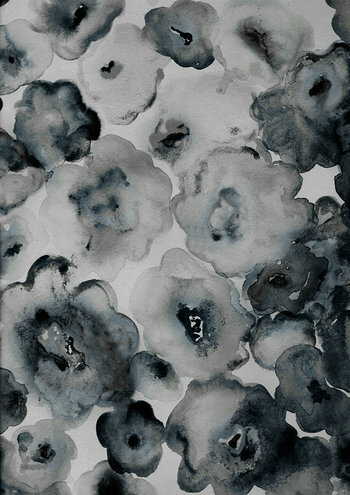 Bliss: My all time favourite product is from our new collection 'Elemental'. It is the Basic Step. It is such a beautiful sculptural piece that can be used as a doorstop, bookend or paperweight. Bonnie: My favourite piece is The Essential Box also from the new collection. The box appears quite sculptural and decorative with the triangle detail on the lid, however, underlying all of the beauty is a very useful little place for bits and pieces that you have lying around, or a special hiding place. Can you give us an insight into the inner workings of Marble Basics? Marble is such a unique material in that every piece has its own story. The veining creates character and means that each product is unique. We are always surprised and delighted when we see something new in the marble that we haven't seen before, like different vein direction or intricacies in the colour of the stone. A typical day involves emails in the morning, then packing orders which can be quite hard work lifting kilograms of marble! Then emailing again in the afternoon and dealing with freight. What is the best moment so far for Marble Basics? The best moment for us so far has been the journey from a brand that consisted of two products; The Big Basic Pot and Baby Basic Pot, to a brand that now has over 20 products. We are thrilled that we have had such an eager response to a material we have always adored, but didn't know if customers would share the same loyal appreciation for. Joseph Dirand for his dreamy Parisian apartments. Christian Liagre for his timeless and modern aesthetic. Barbara Casasola for her innovative use of ribbed fabric. Top 3 instagram accounts your loving at the moment and why? Architectural Digest: a great range of the new as well as appreciating historical and timeless design. We love to mix the old and new. Beeline Design is the vision of wood artisan Adam Brislin, who first established the business in 2010. "Beeline Design specialise in beautifully designed handcrafted furniture and Adam’s personal passion is handcrafting stylish, exquisitely made, designer furniture from fine Australian timbers." Adam is an award-winning craftsman who has had over 15 years of experience in making quality handcrafted furniture. Beeline Design makes stunning designer tables, cabinets, stools, furniture and other finely-crafted items from some of Australia’s most amazing and beautiful hardwood timbers. Tell us about yourself - what path led you to starting your own furniture design company? I was born and bred in Bunbury Western Australia. I found my love for woodworking when I was at high school and it was fortunate that my school offered after school classes which really gave me a platform to work from. On completion of year 12 I opted to take a trade based occupation and enrolled in a pre-apprenticeship course in cabinetmaking at the South west college of Tafe for 12 months. My course was nearing its finish and having not secured an apprenticeship my lecturer spoke to me about going to meet a woodworker/ craftsman at Australind by the name of John Ablett who was considering taking an apprentice on. I met the man and instantly was in awe of his work; I knew I belonged there and felt that it was meant to be. I learnt so much from that experience and it truly set me on a path of being a furniture maker. I did deviate my furniture career for a moment when I decided to work in outback Western Australia in the mines on a exploration drill rig then though mining I felt, had no soul though it provided me with the money I needed to travel and live in London for a few years. When landing overseas I was forced to find a job and I reverted back to my woodworking skills and landed a small job with an Aussie builder renovating Sharon and Ozzy Osbourne's house, this was a sweet novelty and once that finished I managed to get a job with Weldon flooring, a bespoke flooring company who worked alongside super wealthy clients including the opportunity to work for The Royal Family. I had always wanted to make furniture for myself and I think the break I had from it, plus the time away in the Uk gave me the push to start seriously thinking about starting my own business. The real catalyst for my start up was when I found a space to work from in a co operative in Preston; other contributing factors on the journey were that I felt like I had gained substantial experience and knowledge and I had learnt so much from the two furniture companies I worked for in Melbourne. I am the type of person that needs to feel a sense of achievement and to be challenged; I think I have stumbled upon one of the largest challenges yet - starting a small business. Tell us a bit about Beeline Design? Beeline design is a small furniture manufacturer, based in Preston Melbourne. We are involved in a co operative called Worco which is a long established co operative that had been going since 1979. Beeline design is made up of myself and my partner Lucy and we pride our selves on producing fantastic quality work using correct joinery techniques and quality materials and finishes. I like to think we are really versatile and can turn our hand to most things with my initial training with John in furniture, wood carving, wood turning and inlaying, to parquetry flooring in the UK, production and recycled timber furniture in Melbourne. I have gained a good skill set which allows us to take on all sorts of jobs, including the Attica Restaurant beehive boxes. At beeline design we are conscious of our environmental impact so we add value by using a lot of recycled timber destined to be land fill and we hand apply organic oils to all our work which minimises emissions commonly seen in manufacturing. Which is your favourite piece of furniture so far? I would probably have to say they are all favorites in many respects, I think you form a bond between you and your work and there is an emotional attachment you have to a piece when it has been created from your own hands. I would have to say my latest piece Le: Six trestle table is my favourite; I guess because I have revamped an older design to make it fresh again - plus I love the utilitarian drawer attached, it just seems to make sense! it's a great place to chuck your keys or wallet. As I am still establishing my business I have to keep working for another company so a typical day involves a 7 am start working for a architectural joinery company, which I really enjoy. I finish up around 4.30pm to then start at my factory for the evening session, a small 4 min commute away. I work to around 10pm 3-4 nights a week. It's a hard week but I have conditioned myself to it and building a business takes time. There is always a lot of juggling to do, working with stockists and private commission work; I have timelines to work to therefore long hours are part of the gig. Dependent upon work I could be machining timber, sanding or drilling for an entire evening, although I normally work on several items at once. Where do you source your timber and other products from? I get a lot of my recycled timber from the salvage yard at the front of my factory, though depending on the requirements of the job I source timber through connections I have or search other yards. When working with boutique Australian timbers or American timbers I usually go to Mathews timbers in Rooks Rd Vermont as they stock a huge range of quality timbers. For the oil finish I go to the Enviro shop in Northcote, it's a product I have been using for close to twenty years and love the fact it's organic and German and it gives an awesome result. Glues and hardware I source locally around Preston, I am situated near Bell St therefore everything within arms length, I am spoilt with quality suppliers. What is the best moment so far for Beeline Design? One we definately got excited about was seeing the dovetailed beehive boxes "plight of the bees" (Atticas name for the dish), appear on the 2013 grand final of Master Chef Australia. It was a commission they asked me to do and I decided to dovetail them for durability as well as I knew aesthetically they needed to be first class as Attica is the best restaurant in Australia. After the boxes I was commissioned for several other products including their cutlery and bread trays. There are many amazing furniture designers in our country and I think I have been influenced by their work over the course of my career. The first craftsman I admired significantly was a Tasmanian artisan by the name of Kevin Perkins. I was blown away by his work and the piece of his that stole my attention was the Cape Barron Goose Cabinet. There are plenty of others that I respect, including Neil Erasmus, Roy Schack and Melbourne's Anton Gerner. Inspiration comes from many facets, I'm always inspired by the other members of my co operative; I am surrounded by creative people from Violin makers to Harpsichord making to Black Smithing to Home ware Designing. The people I work alongside are my biggest inspiration. Lucy and my daughter Audrey are a big inspiration to me alongside my mum and late grandmother. Inspiration I believe comes mostly from within as you have to stay positive and put yourself out there . Beeline design have kindly offered Dot + Pop readers 10% all their products... Yay! We would love for you to post pictures of your Beeline products on social media - tag @dotandpop and@beeline_design so we can see how you styled your gorgeous furniture.